SKS Beavertail Set Mudguard for 26" 28"
SKS BEAVERTAIL SET 10100 MUDGUARD FOR 26" 28"
If you’re confused whether which bicycle mudguard to buy for your mountain bike, SKS Beavertail snap-on mudguard set comes to the rescue. With CAB profile, they’re made to survive different weather conditions, they’re made to last against harmful UV rays. Meant for mountain bikes, SKS Beavertail clip-on mudguard set is roughly half the length of SKS Longboard, the longest mudguard set of SKS family. Given the nature of mountain biking(uneven terrain, muddy, rocky), what bike tires may shoot up your way could be harmful to you and your bike. With SKS Beavertail fastened to the bike, the rider and the bike components are largely protected from upcoming dirt and rocks and whatnot. Due to its versatile design, SKS Beavertail mountain bike mudguards fits 26”, 27” and 28” wheel size. Mounting them on a bike is the last thing you’d have to worry, thanks to its robust steel brackets for safe and easy mounting. Wheel size: 26", 27", 28", 29"
Bike mudguards are designed to protect you from water sprays that tires shoots up during the ride. Be it sludge, grit, gunk, water-sprays, mudguards not only prevent it from ruining your cycling kit but it also protects the bike components as well. Choose the one that fits your bike(road, hybrid or mountain bike). They’re generally easier to attach and detach. 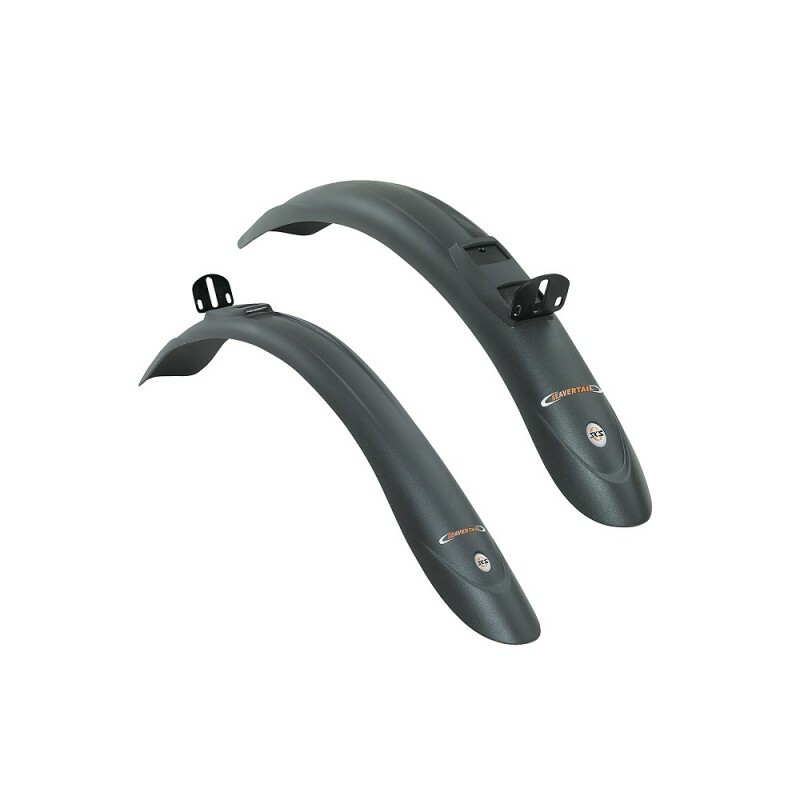 Front or rear mudguards are available at wizbiker.com for the road, hybrid and mountain bike to save you from all the muddy hassles. Driven by firm conviction and out of tradition, SKS Germany have been developing, designing, constructing and producing bicycle accessories since 1932 in their company based in Sundern, Germany. The slogan “Made in Germany” is not just an empty promise to them, but reflects their high standards in quality, function and design. A rider can experience this with every single one of their branded lines. SKS is best known for Chromoplastic and Bluemels full length fenders. Chromoplastics are the benchmark for top quality with Secu clip release systems, flexibility and elegance. High quality mini-pumps and frame pumps, precise air pumps, compact bicycle tools, chain guards, bottles, bottle holders and saddle bags have also been integrated into the SKS range of products to provide for even more comfort and safety while cycling. SKS. For carefree cycling. About SKS Raceblade Pro Road Bike Mudguard The ulimate clip-on mudguard set for road bikes for..
Pilo D600 Derailleur Hanger For Cannondale Kids Trail 24"